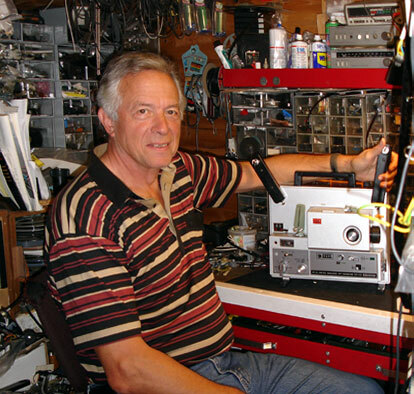 John has many years of experience in audio-visual repair. He can repair most Standard and Super 8 projectors, and most slide and overhead projectors, and he works hard to provide excellent one-on-one customer service. Repair cost can range from about �20 for silent projectors to about �35 for sound machines, plus the cost of spares. *This fee covers routine maintenance — if any parts are found to be defective, we will contact you for your approval in order to proceed with repair services. We back our Projector Repair work with a 3-Month Warranty from the original date of repair.